At the moment, Microsoft Power BI is not available for download on computer. However, you can use emulators to run Android applications on PC. One example is the BlueStacks App Player. It is a powerful tool that provides users a virtual device similar to an actual phone. This also enables users to install games and other popular and in-demand applications. 3: Search for Microsoft Power BI on the Play Store and install it. 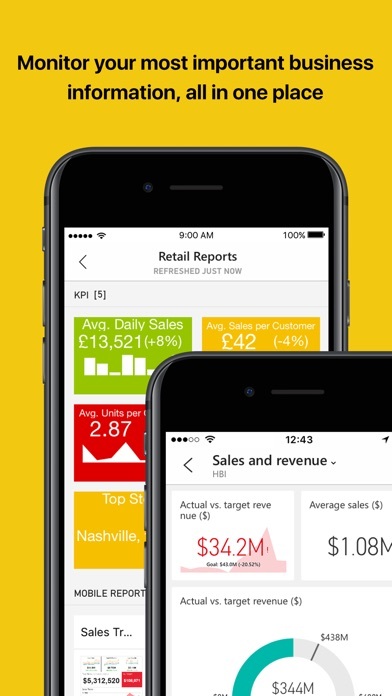 The Microsoft Power BI app provides live mobile access to your important business information. With the Power BI app you can easily view and interact with your dashboards and reports for all your business data. 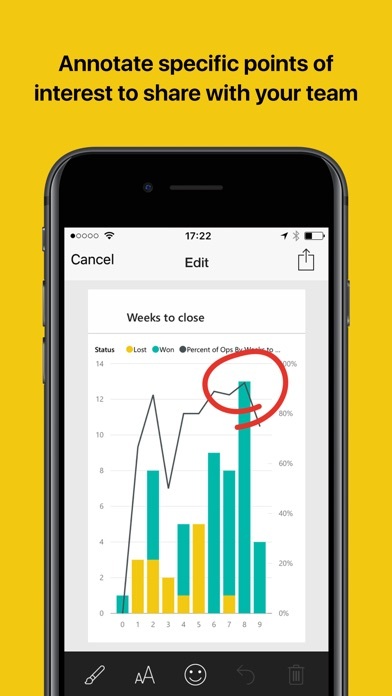 Use the Power BI app to connect to your data, discover insights easily with data alerts and share them with your team. Do it yourself, seamlessly and in minutes. 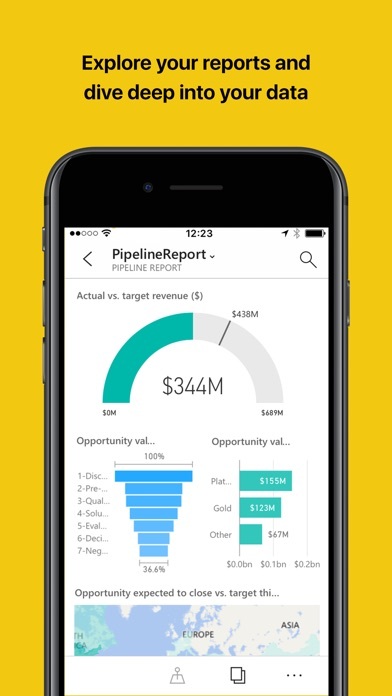 Access your data anywhere, anytime With the Microsoft Power BI app you can stay connected with mobile access to your dashboards and reports. Stay up-to-date and unlock insights as they happen, anywhere anytime. 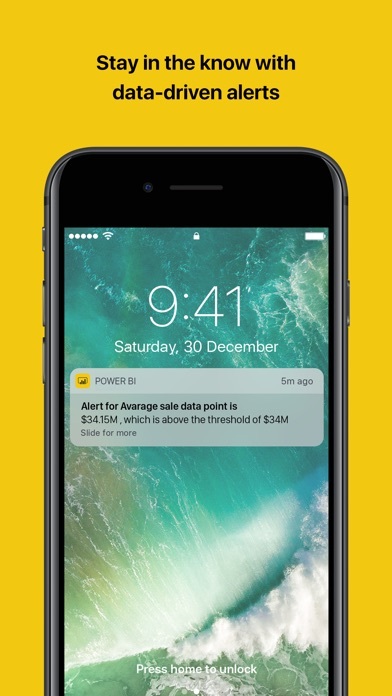 Set personal data alerts Set data driven alerts in the Power BI app for iPhone, stay up-to-date and discover important insights in time. Connect to your existing data sources in minutes Easily connect to your existing data sources with Microsoft Power BI where you can instantly access out-of-the box dashboards that will help you discover insights faster. Share and collaborate Quickly create collaborative dashboards to share live reports and custom data sets with your team. 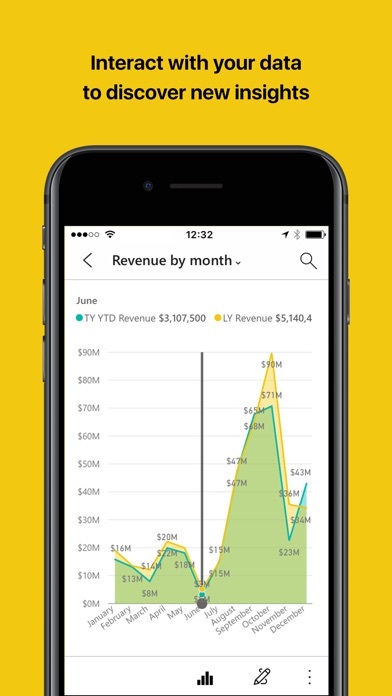 Tell stories with your data to engage your colleagues using the Power BI app. Visualize your data Explore and present your data in new ways with bold interactive charts, maps, and graphs. •	Fully touch enabled interactions •	Rich dashboards for a 360° view of your business •	State-of-the-art visualizations, charts, maps, and graphs •	Fluid experience and high performance based on a leading data-caching mechanism Get insights Interactively slice and dice your data to easily get insights and actionable information. The Microsoft Power BI app lets you filter and pivot your data in different ways to quickly find answers without needing a BI expert. Overall a great app. Recent update has meant that I have to sign in each time I open. Will this be changed? Since this update, the usability is terrible. Before: I could pinch to zoom into a report/graph and move it around the screen to view it. Now: when I move a report/graph around the screen, it moves onto the previous / next report in that dashboard. It thinks every movement left or right on screen (not even a swipe) means that I want the previous / next report. So bad, I've gone back to browser version.